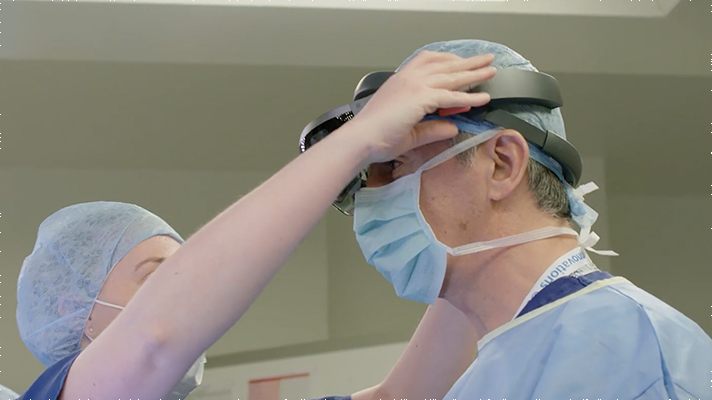 Alder Hey Children’s Hospital and NHS Foundation Trust will be rolling out HoloLens mixed reality headsets to support its operational theater, according to a recent release from Microsoft. Alongside the technology company and Black Marble, a software design and consultancy firm, the hospital will be developing an app for the technology to help surgeons better access information about their patients during an ongoing procedure. The partnership’s goal is to build an app for the headset that will overlay ultrasounds, CT scans, angiograms, or other notes and records in the surgeon’s field of view. By leaving the surgeon’s hands free, they are able to more easily conduct the procedure while accessing the information they need. Complementing the project is the simultaneous rollout of Microsoft’s Surface Hubs across the hospital. The large “digital whiteboards” will be deployed in the Alder Hey meeting rooms and, through Black Marble’s app, would allow multiple users to simultaneously write timestamped notes on the screen that could be uploaded onto a HoloLens headset for viewing during an operation. Alder Hey has been designated as one of the National Health Service’s Global Digital Exemplars, provider centers supported by the service to help develop and deliver new technology-driven approaches to care. In the past, these digital initiatives have included Alder Play, an augmented reality app designed to engage and educate children during their stay at the hospital.